This is a bit of a cheat because I didn’t read all these books over the summer. Normally we go away and I have suitcase full of books to work though but this year a combination of having a mega assignment to write and deciding our holiday would involve interrailing round Europe so lugging books wasn’t a priority, meant that I didn’t really read a huge amount in summer and never got round to blogging. Anyway, having just grabbed a week away with plenty of time to read, I thought I’d get round to it. 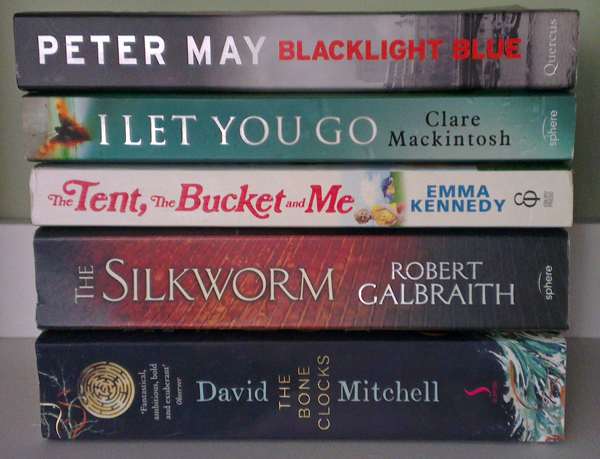 So here, in no particular order, is my reading from the summer, October and a couple from in-between. I think I got this one for Christmas and I saved it. This was one I took interrailing because it’s nice and thin. I love a detective and these are ones I’ve written about them before here. There’s something so ridiculous about the situations that happen in these books but the writing is exquisite. There are whole passages that serve as supreme examples of everything we try and get kids to write about. I loved it. I’m trying to read them in a sort of order but you don’t really need to (although the first one ‘A Rage in Harlem’ does introduce the detectives Coffin Ed Johnson and Grave Digger Jones). 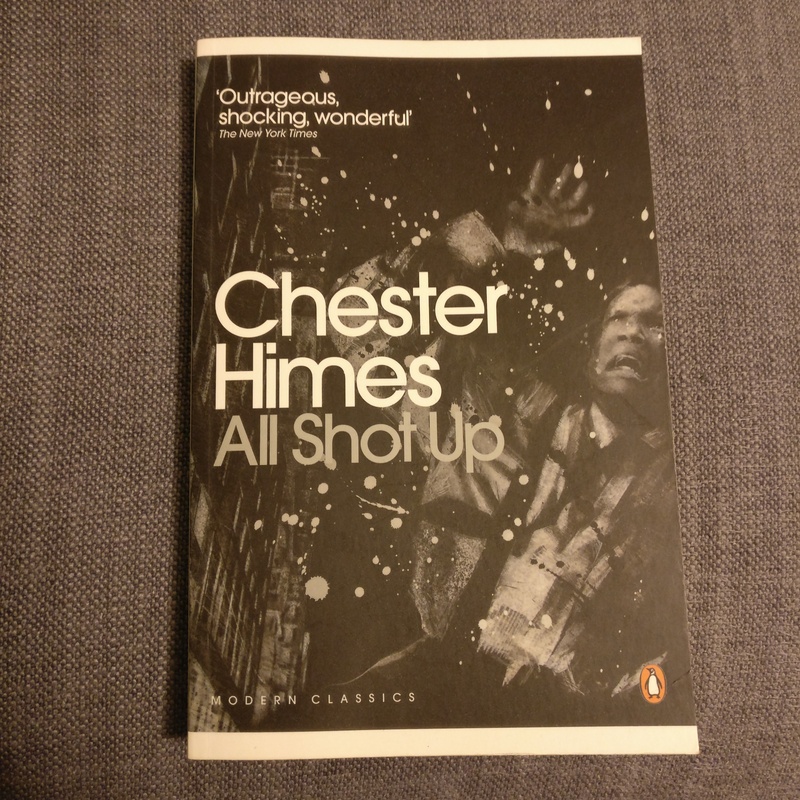 I think this might be my favourite so far and there is a chase scene so perfect that I read it out loud to Howard. Well this was a find. A sort of ‘summer and ongoing’ book really. 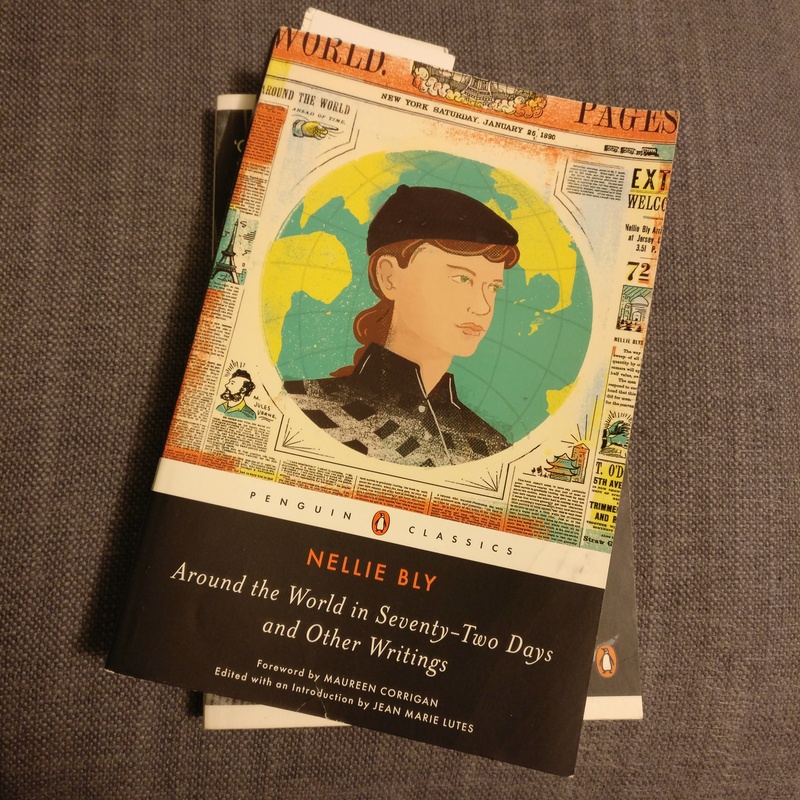 This is a collection of writings by Nellie Bly, one of the first female journalists and ‘stunt girl’ reporters. Starting with her work in 1885 and moving to 1919, it covers some extraordinary undercover reporting where she gets herself committed to a lunatic asylum in order to expose hideous treatment practices, and her solo journey around the world to break the fictional record set by Jules Verne. Quite why she’s not more widely known I have no idea, but she was one hell of a woman and I urge you to have a look – you don’t need to read it all at once as it’s comprised of articles she wrote across her career and easy to dip in and out of. 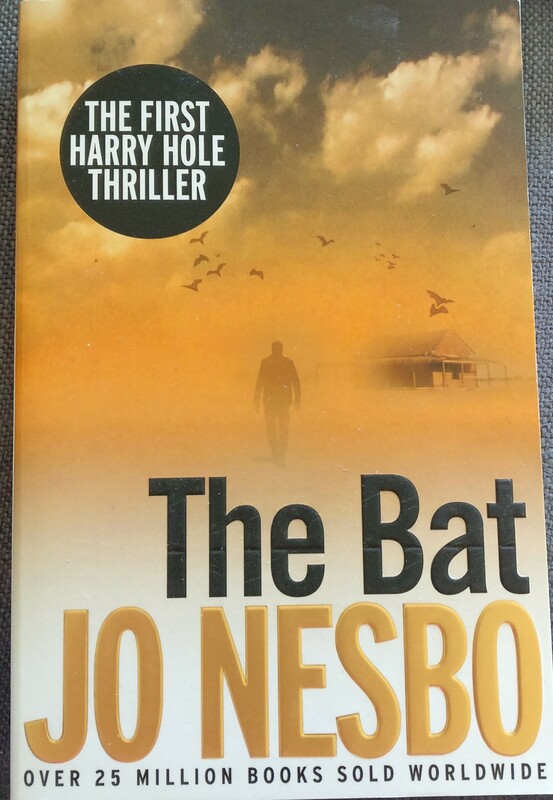 It’s been ages since I read the first Harry Hole book and whilst I bought this almost straight afterwards it became a casualty of my need for small books to take on holiday I think. Whilst he’s a Norwegian detective, the first one’s set in Australia and this one is in Bangkok. I quite like the change of scenery making for different story elements but I found the writing a bit clunky in places. I don’t know if that’s down to the translation or the originality of an alcoholic detective but I reckon it’ll be a case of remember to buy the next one at some point rather than ‘collect em all’. Now these I love and there’s loads of them. I took this one of the epic train journey because it’s small. I haven’t written about this series before but this is the second one. The central detective is Wesley Peterson – the cop from the Met returning to a more rural life (Devon in this case). The thread through these is that he studied archaeology at university and his cases invariably have a link to local archaeological digs run but his friend Neil so there’s ongoing snippets from the past (not necessarily connected with the case, just running alongside). It’s got a sort of Midsomer vibe (but Devon and with history) with them covering a wide area with lots of murder potential in tiny villages. It’s the end of the world and there’s an angel and demon who aren’t particularly keen on this happening so they set out to stop the antichrist and everything else. My brother bought it for me a bit ago and I never got round to it (spotting a theme here) and I rather wanted to read it before the TV series is out. It was everything I was hoping for (and I always love a Dog). Number three in the series. 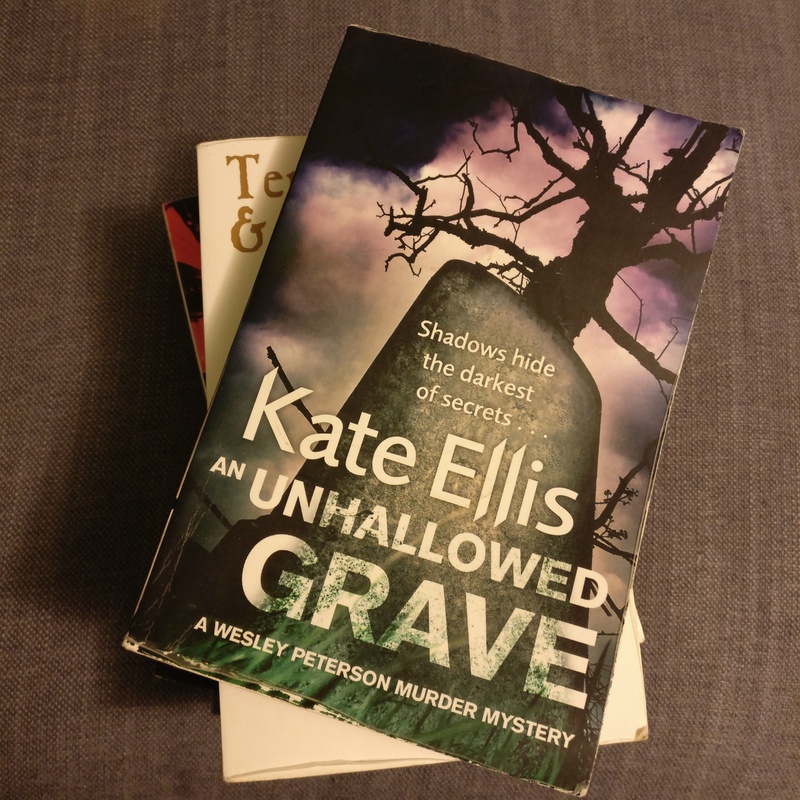 This one starts with a hanging in a churchyard and a trail though Devonshire villages and history with an archaeological uncovering of another body from the same tree five hundred years earlier. The Wesley Peterson series started in the late 90s and are still going, but it means these early ones must’ve hit the shelves as Time Team (which I adored) was peaking and there’s a good element of that in there. It also means that there’s not a huge amount of mobile phone/ internet stuff so I’m looking forward to carrying on the series and things like that changing the feel of the books a bit. Ooh, this was lovely. I bought ‘The Five People You Meet in Heaven’ on a bit of a whim years ago and I leant it to a friend who then read everything by Albom she could lay her hands on and I finally read another one. This follows the life of Frankie Presto with his talent for music – from a war-time birth, journeys around the globe, to a dramatic ending. Throughout his life Frankie finds inspiration in and inspires musical icons like Duke Ellington, Elvis and KISS (kinda Forrest Gump-ish but not really). It starts, and is threaded, with people remembering Frankie at his funeral and there’s something about knowing a character dies that I find quite comforting. That’s not to say there aren’t shocks and surprises, but it knew where I was heading. I never like giving things away when I’m talking about books so this really doesn’t do it justice but I loved it and kinda miss it, which I always think is a mark of a good book. I’ve not actually finished this yet. I took it for the train journeys and loved it. I had a lot of cassettes of comedy sketches and stand up when I was younger and quite a few had Stephen Fry’s voice on them which I found surprisingly nostalgic when it came to this. 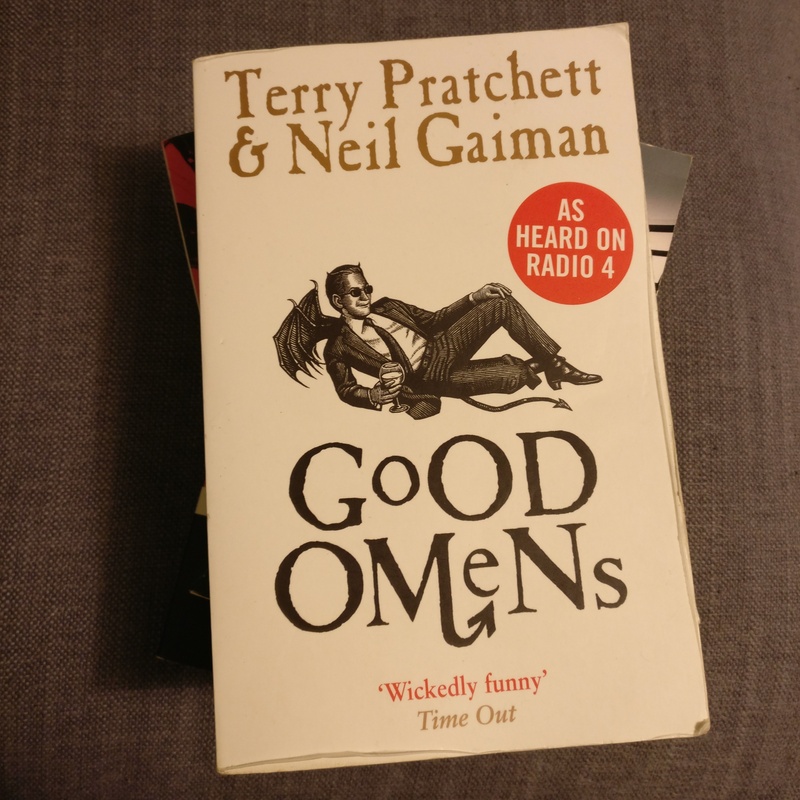 I really enjoyed Neil Gaiman’s retelling of Norse Mythology so I was looking forward to this and when the Eleanor Oliphant audio book failed to impress I swapped it and wasn’t disappointed. The stories are brilliantly told and I managed to produce some excellent background to sculptures in galleries we visited. There’s a wealth of etymology for etymology fans and so many names it’s impossible to remember everything (I tried listening to it in the car but it stuffs my working memory and I can’t listen and drive ) so I’ll probably get the book too. I’ll be honest, I could’ve done more reading this summer but sometimes I just watched telly instead. I did however read some gudduns, particularly following my call for suggestions and I’ve still got a couple from that list that I’ve not got to yet. Last year I included my books from the Easter holidays in my summer reviews but I won’t get into the habit of that so I’ll just say that I read Sue Perkins’ ‘Spectacles’ and Neil Gaiman’s ‘Norse Mythology’ on holiday in April and both are worth your attention. Oh, Enzo. How I have enjoyed the wine-soaked romps across France with you over the years and now our time together has come to an end. May’s books appear frequently in my run-throughs of summer reading and Enzo has had his place. This is the last in the series of six books featuring forensic expert Enzo Macleod and his challenge to solve seven of France’s unsolved murders. It’s been a while since the last book (and I waited for the paperback so they matched on my shelves) but worth the wait and some good plot devices to bring in characters from previous quests. I was going to read this regardless of quality obviously but it didn’t disappoint at all and rounded off the series most satisfactorily. I think there were initially seven books planned (from memories of looking at May’s website) so I don’t know how the intended plot changed but it didn’t seem rushed together. All the main characters are there – from the people to the locations and if you’ve read the others it’s worth finishing them off. This was an author suggested by James Theobald. Oh my goodness. I loved this so much I can hardly describe it but I immediately bought another one which is below. They’re set in 1950s Harlem and described on one of the covers as ‘mayhem yarns’ which I never knew was a genre but describes it perfectly. 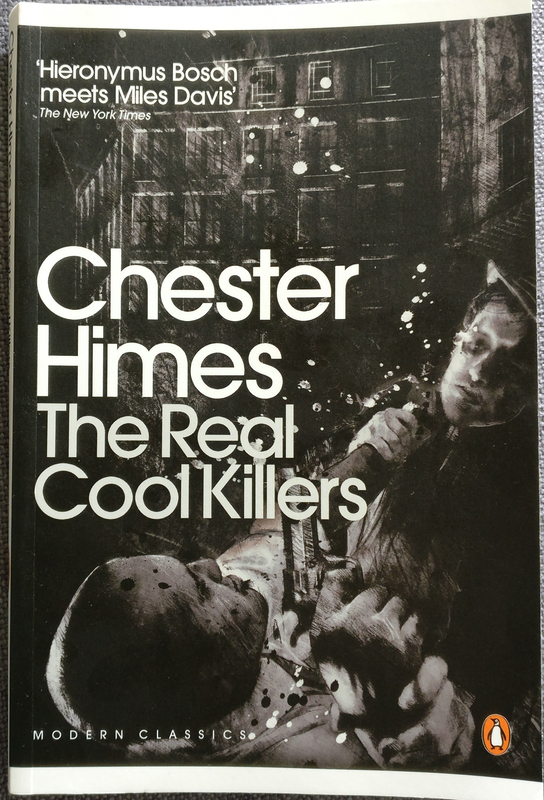 The book is set on the streets of Harlem and this is the first of Himes’ novels to feature detectives Coffin Ed Johnson and Grave Digger Jones – although it’s more of an introduction to them in this one. It’s a fast paced tale of a simpleton who gets swept up in all sorts of criminal activity with farcical slapstick that slams into grizzly reality at every turn. The language is so sublime that you almost don’t notice it – nothing is held back and it somehow comes across as both a throwaway caper and a raw snapshot of life. From the con man dressed as a nun to the slashing of throats and a hearse chasing through the streets there is nothing to disappoint. To Birmingham for this one and more of a classic detective dealing with a dead body . 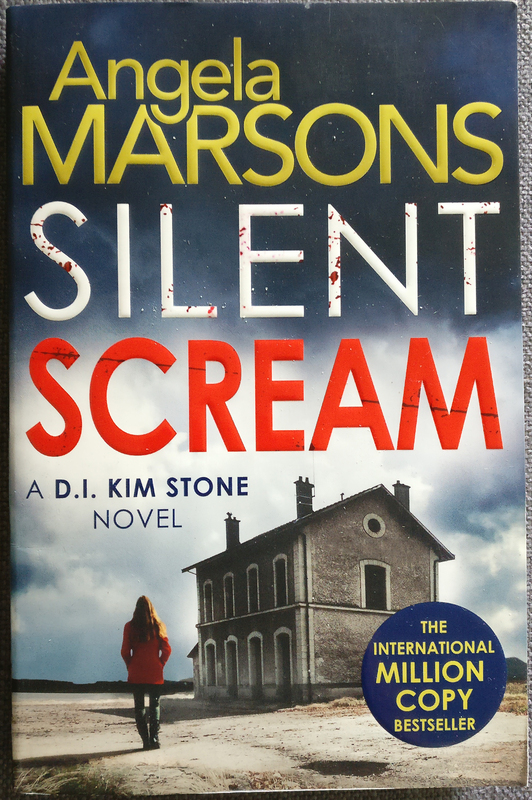 This is another Twitter suggestion and the first in the DI Kim Stone novels. The body count mounts quickly and there are enough twists and red herrings to satisfy without them seeming too obviously placed or clichéd. Having said that I don’t know whether I’ll rush to read another one. There were bits that seemed a little clunky (sometimes I wonder if detective books are being written with TV adaptations in mind) and the parallels between the case and Stone’s history were a bit much at times – having said I won’t rush into the next one it’ll be interesting to see how she develops when the case isn’t as close to home. If you’re looking for a new detective then give this a go and I don’t think you’ll be disappointed. I was probably still mourning Enzo a bit. I read ‘Case Histories’ quite a while ago and this is the second of Atkinson’s books featuring detective Jackson Brodie. I’d enjoyed the first and Twitter reminded me I’d not read any more so I was looking forward to it. My mistake was to have a break of 48 hours between starting it and picking it up again half way through. There are so many characters and interwoven storylines that I struggled to keep up with everything when they crossed over. The novel is set in Edinburgh during the festival and the feel of this was spot on. I think every aspect of the criminal world is covered somewhere is this with most of the characters having a hand in another’s business but there was just a bit too much crammed in for me I think. 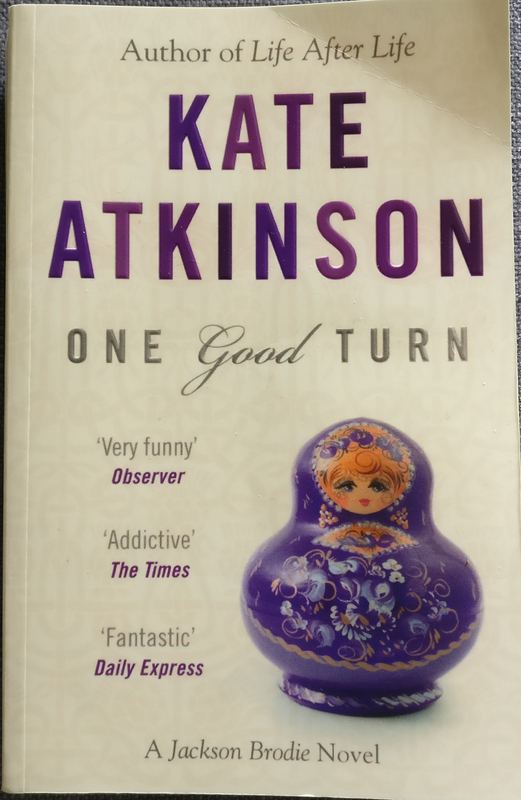 One of the characters is a writer who imagines writing a book like a matryoshka doll with layers fitting together and this is clearly the concept for this one. I just think I’d prefer a 5-doll set to the 15. I saved this one for after the others rather than getting to it too quickly. 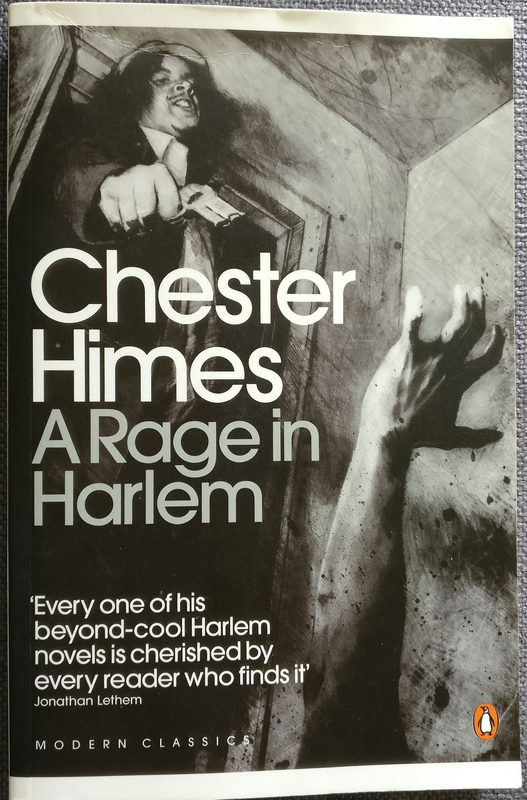 I think I slightly prefered this to Rage In Harlem as it kept all the features but had a more flowing plotline and featured more of the detectives. It would stand on its own but there are threads that follow on so definitely read the first. This one gets in quickly with a bar fight that is both brutal and hilarious in its farce. There’s a chase, a kidnapping, a fart scene. The language is on point once more and I wish I’d made a note of some of the descriptions and off the cuff remarks but I wasn’t going to break my flow. It’s described on the cover as ‘Hieronymus Bosch meets Miles Davis’ and I think that says it all. I can’t believe I’d never heard of these before and at around 200 pages they’re perfect for polishing off in a day. I still can’t quite describe what they’re like so I’ll just end up sounding like a gushing thesaurus and there’s no use in that so I shall just ask that you give them a go whilst I buy some more. Links to books are (almost all) The Guardian Bookshop again because of tax and monopolies etc. Some of them I’ve read, some of them I’ve got waiting, some of them I’ve not even heard of. It’s a pretty good list so whilst I try and decide which ones to start with, here they all are! Holidays have been a bit upside down for us this year so I’m cheating a little bit. 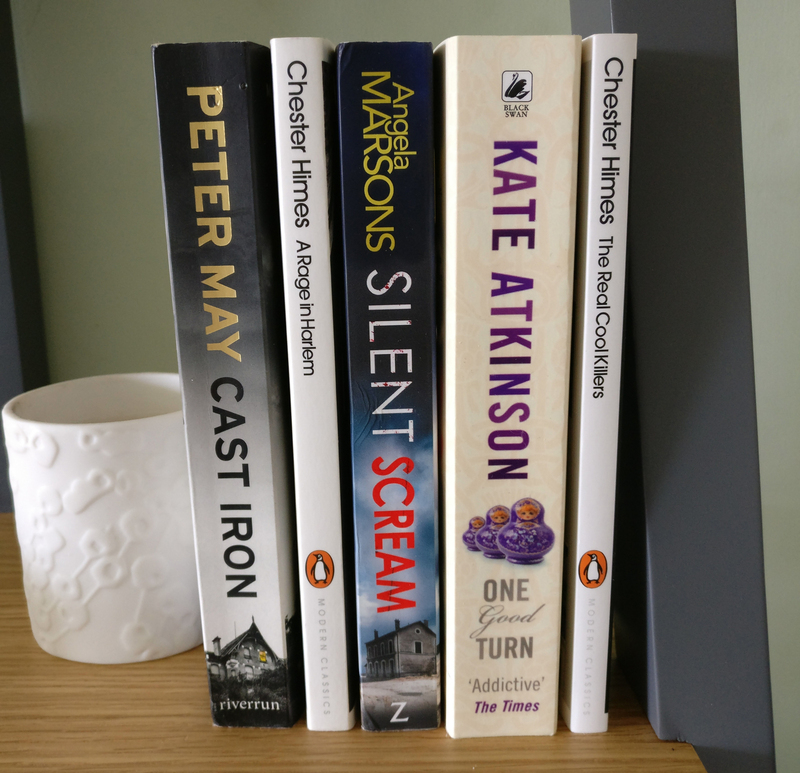 We went to Tokyo at Easter and as that’s our ‘big holiday*’ for the year I’ve included the books I read whilst we were there too. I’ve also included one that’s a dip-in-and-out book and one I’ve not finished but think I’ll take into school as my ‘quite reading’ book. Peter May keeps cropping up in these posts doesn’t he? Well I’ve managed to get my mum addicted too and she’s churning through them all aswell now. 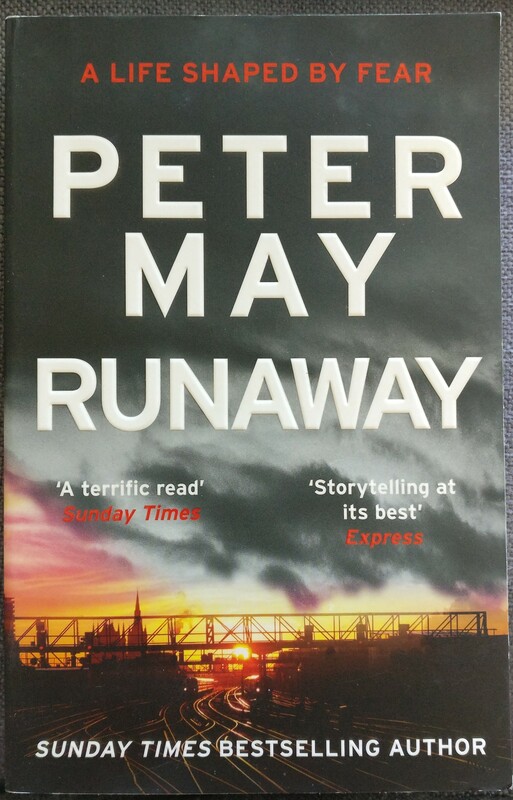 ‘Runaway’ is a bit of a change to the usual murdery plots of Mays books and if I’m honest I wasn’t 100% gripped with this one. There’s an element of whodunnit as it follows a group of childhood friends who ran away together in their youth and do it again as old men. There are flashbacks and the two stories are intertwined but it wasn’t really for me. Having read all the available books with the various maverick detectives I’ve got on the go, I was looking for a new one to fill the void whilst some more get written. I read ‘Headhunters’ by Jo Nesbo as one of the staff Blind Date books and liked it enough. 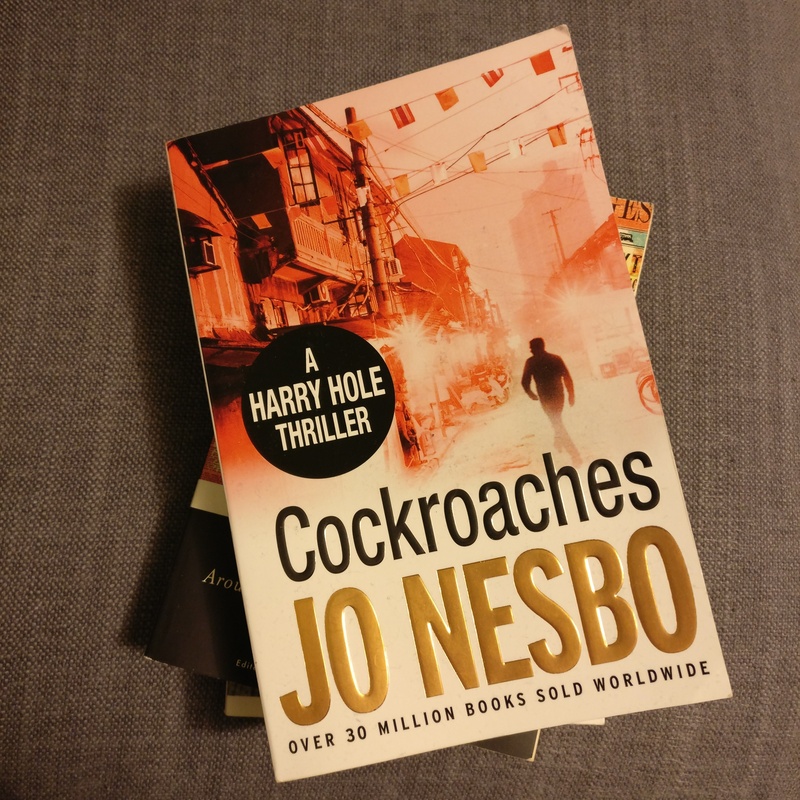 I found the Harry Hole books when I was looking at what else I could go with and as another detective to add to the mix goes it seemed perfect. It’s quite cleverly set as an introduction to a Scandinavian cop (there are a few out there) as this one is set in Australia. We get the Norwegian feel but none of the formula that perhaps comes with the others (I believe there are others in the series set abroad too). Premise is that our detective is shipped over to Australia to assist in the investigation into the murder of a Norwegian national – peril ensues. I’ll definitely read more in the series, but might wait for when I need a gap filler rather than rush to buy them all straight away. I read Emma Kennedy’s first autobiographical account last summer and thoroughly enjoyed it. The amount of disaster that one family can have is quite spectacular and as Emma grew up it doesn’t look like things got much better. This book picks up as Emma finishes university and hasn’t got a clue what to do next. Lured by promised riches on the other side of the Atlantic, we follow Emma and her friend Dee as they set out to make their fortune in San Fransisco and travel back across America before facing life as grown ups. Obviously, as this is a Kennedy tale, thing are far from smooth and I don’t think it would be spoiling it to say there aren’t exactly riches. What we do get is a glimpse into their perseverance and the generosity of strangers. 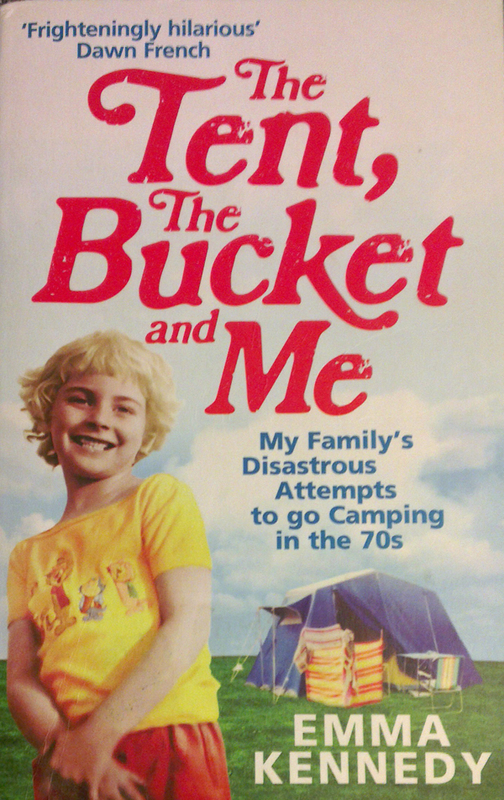 One of the most beautiful parts of ‘The Tent, The Bucket and Me’ was Emma’s relationship with her parents and that’s missing from this book. As much as I prefer that book, I’m glad that wasn’t the end and we get a second installment. Worth reading if you’ve read the first. This is a combination of autobiography and the story of female evolution. 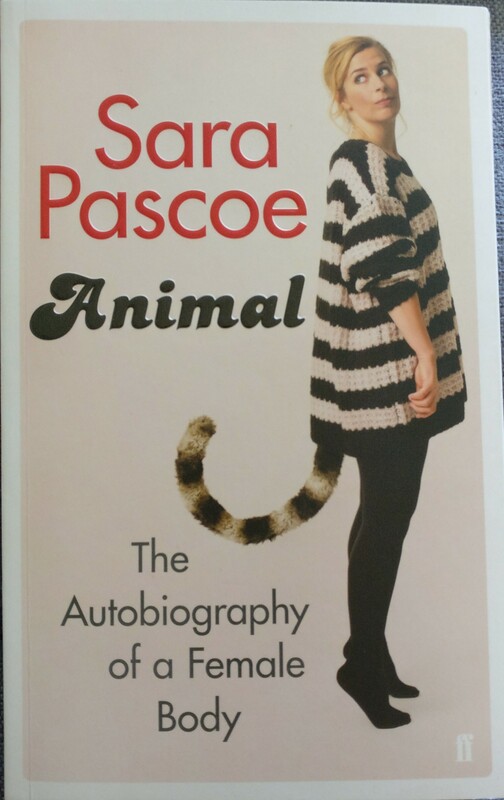 Using examples from her own life and experiences, Pascoe takes us through a history of what it is to be woman, answering questions of why we might behave and feel the way we do and how women fit into modern society. It’s not too sciency but there’s enough back-up to know it’s not just conjecture. I’m the same age as Pascoe and I always find it quite easy to read things by people who were teenagers at the same time. I like the way she writes and read most of it with her voice in my head.She covers the topics of ‘Love’, ‘Body’ and ‘Consent’ in a funny and informative way, with things I knew, things I’d forgotten and things we should be shouting about. I admire people who can be so honest about themselves and found a lot of what she wrote about familiar and motivating. This is the sort of book that makes you follow up on some of the references at the back and realise there are things we should all be shouting about a little bit louder. So. 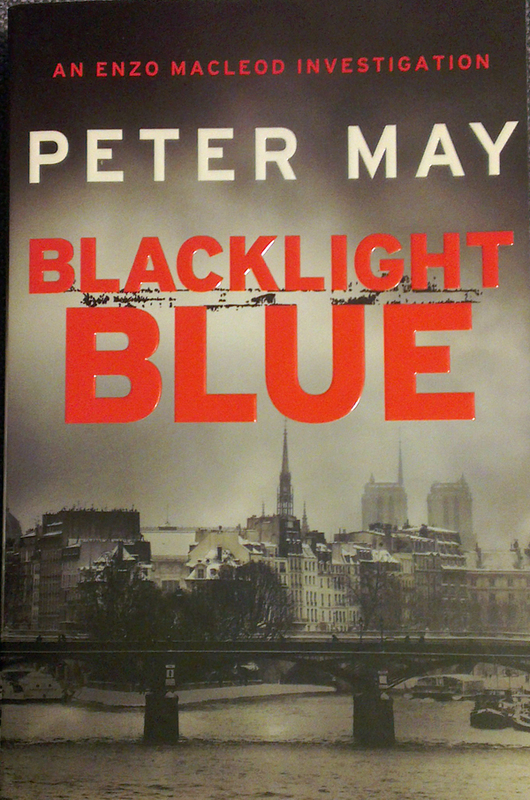 I promised another Peter May appearance and here he is. The China Thrillers series have been out of print and are currently being reissued with the first few already available. As the name suggests, these books are set in China and follow a Beijing detective, Li Yan, through a period of immense cultural change in China. 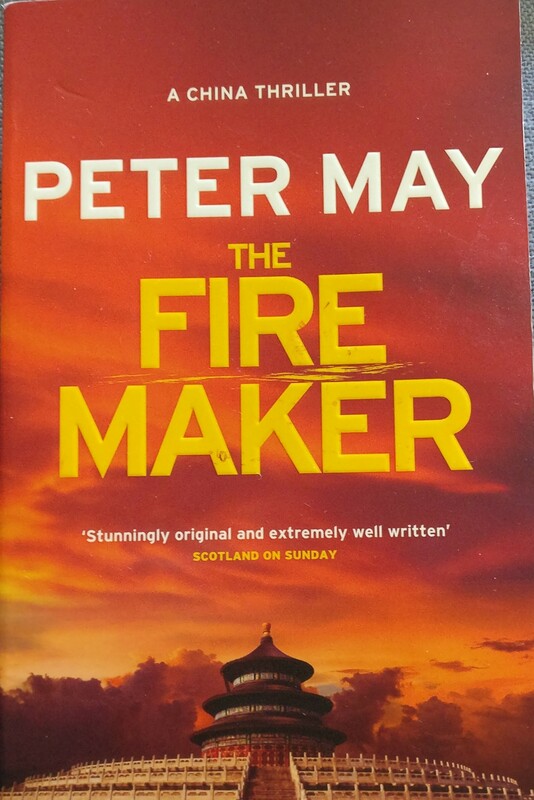 The Firemaker is the first in the series and is set at the turn of the millenium. May has spent time in China from the early 1980s and his witnessing of change in the country is evident in his writing. The story runs at a good pace and contains all the elements I have come to expect from May. The introduction of American forensic pathologist Margaret Campbell serves as our guide to the different ways and customs of the Chinese system. History is peppered through the book and the atmosphere is refreshing in a genre that is swamped with western backdrops. This is a great start to a series and a memoir to a point in time. I’m (predictably) looking forward to working through the rest of them. I’ve waited for a LONG time to read this. Having got the first ones in paperback I didn’t want to break the trend so had to wait and then decided to save it for our summer holiday that we’ve ended up not having. It was worth it. 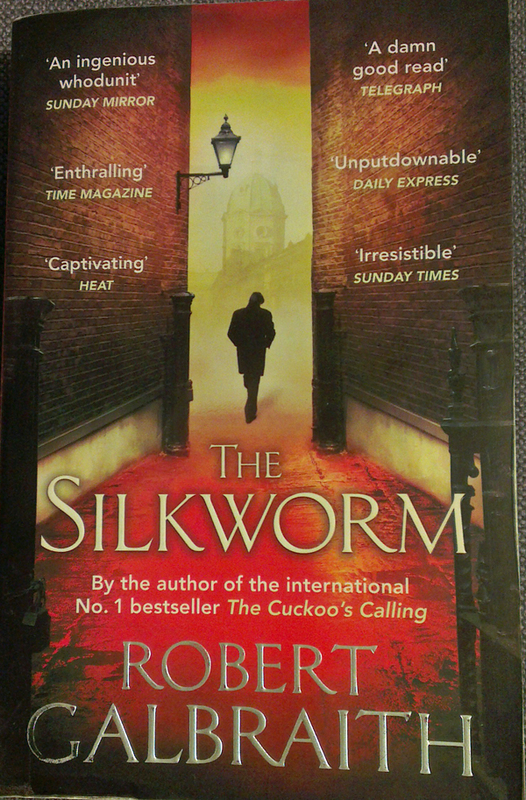 Me n Howard love Cormoran Strike and his third adventure is a solid addition to the set. The relationship between Strike and Robin is moved forwards brilliantly, there’s enough to keep you guessing and trying to work things out, and Galbraith/Rowling has successfully built the characters over the previous novels into well-rounded figures that can work in changing settings. There’s not the same amount of explanation of the main characters now – just enough to remind the reader of previous books, and the case takes the front seat in a way I don’t think has happened before. This might be because it is more personal to Strike and so the two are more intertwined. Well I can’t really say anything about this because that’s the rule. I can say it’s brilliant and I really want to see it performed. The plays follow on from the first seven books and are set nineteen years later. The main gang are there and they have children. It was really easy to read the story as a script so I’m not sure what some people have moaned about. 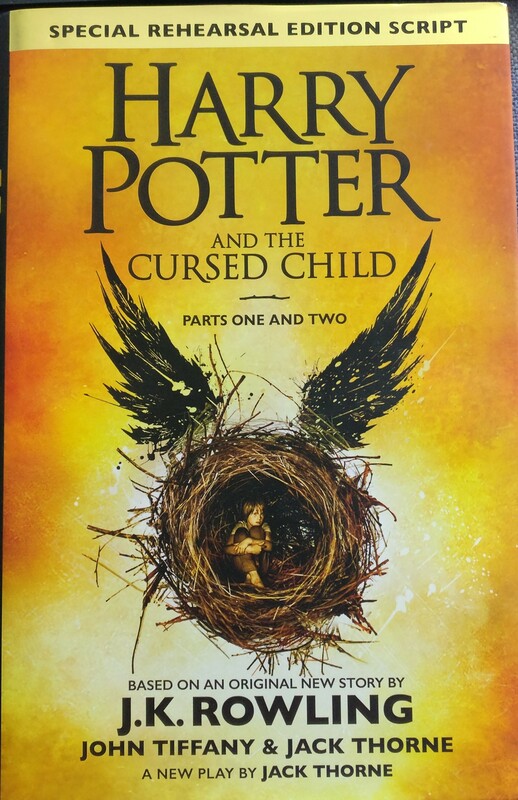 I actually preferred it as I think there’s a lot of bits in the Harry Potter books that stray away from the story and with this there was just enough to allow the reader to build the scene for themselves. Having said that, the hints in stage direction hint deliciously at just how spectacular the stage production is. I doubt we’ll get tickets for London but when it goes on tour we’ll be trying our hardest to get tickets. Oh Fables. 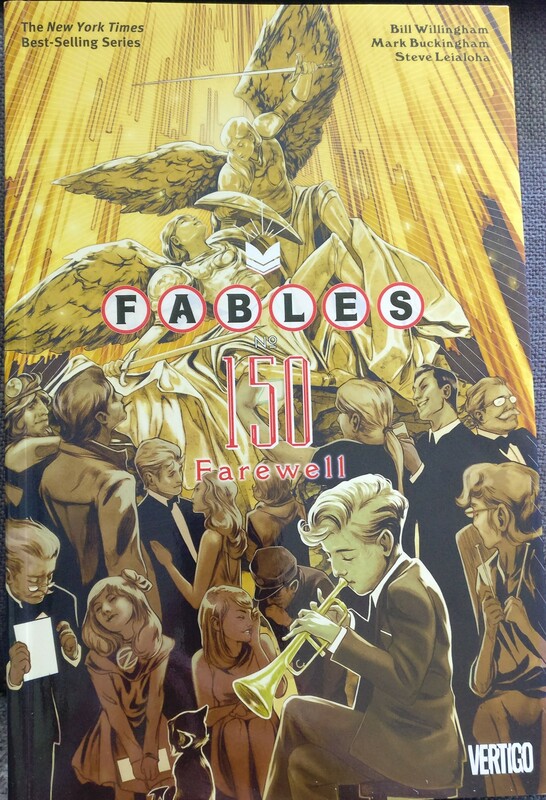 I’d put this off but I finally read the last of the Fables series. I blame my boss for this. He bought me the first in the Fables comic book series (trade paperback) for my 30th birthday. I’ve spent a small fortune of the rest now but they are completely worth it. The premise is that characters from fairy tales and folklore are in exile from their homelands and settled in New York. It follows their fight against ‘The Adversary’ and the challenges they face from their past and future. The series is creative and, despite the ‘fairytale’ themes, adult with no one spared for the story’s sake. From what I can gather the series lasted much longer than initially intended and for that I am grateful. This collection of the final stories is the perfect ending to an amazing series. If you haven’t tried graphic novels then this is a series that is more than worth a try – I warn you it can be expensive though. This is my dip-in-and-out book. 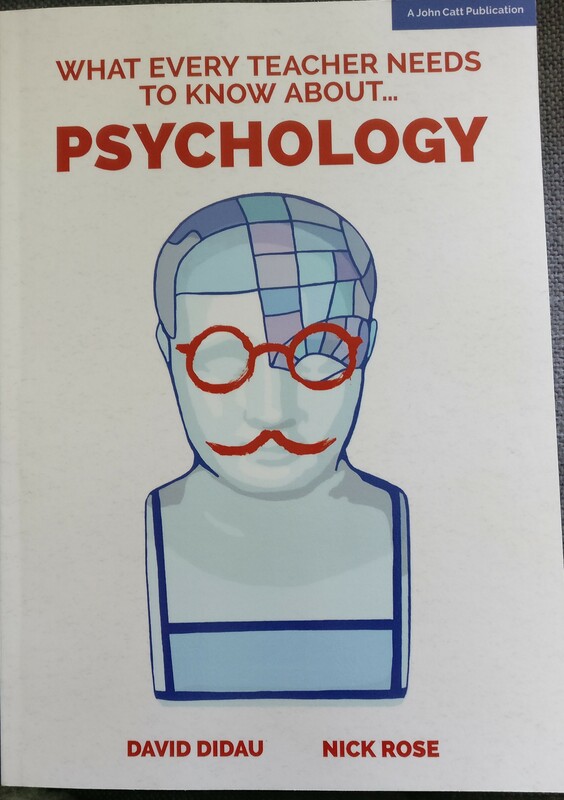 A brilliant introduction to lots of psychological principles in themes across education. This is going to be an excellent go-to book for a wide range of topics that are bound to come up, with quick reference bullet points and longer explanations. 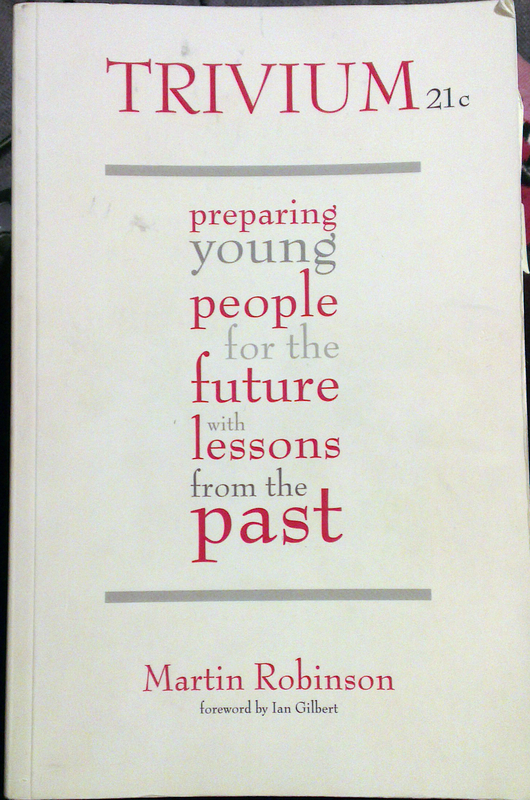 The book is organised into three sections: Learning and Thinking, Motivation and Behaviour and Controversies. There’s going to be something for everyone in this – even if, especially if, it goes against what they already think. The language is easy to read and not scarily academic, and there are a good number of references to follow-up and delve further into each topic. I can see this easily becoming indispensable for people at all levels of a career in education. This has been on the shelf for a while and was recommended quite recently on Twitter so it worked up the list. I say recommended, it was but with the word ‘harrowing’ alongside. I’m taking my time. 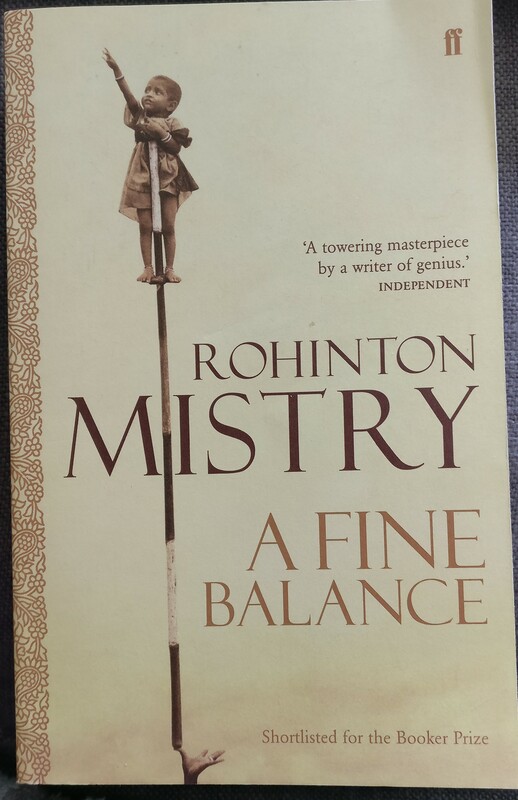 The book is set in mid-70s India and follows the stories of four characters who come together at a time of political turmoil. The book tells the story of each of them individually and together and I’m about a third of the way through. A couple of things have sprung to mind whilst I’ve been reading this: Anita Rani’s episode of the BBC’s ‘Who Do You Think You Are?’ that followed her grandfather’s story through the partition of India, and the book ‘Half of a Yellow Sun’ by Nigerian author Chimamanda Ngozi Adichie and set in the Biafran War. Both these reminders give me a sense of foreboding as to the rest of the novel but also of importance that I read it. 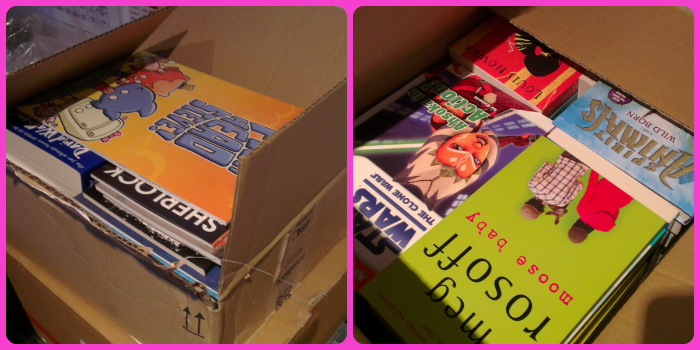 Ok, so the boys at school wrote a book, and it was through a scheme for schools to publish their work, but we have BOOKS! As mentioned previously our school has taken part Scholastic’s ‘We Are Writers’ scheme. I’d put a flyer to one side some time ago and I suggested it again when we were thinking of ideas for the reading festival. It’s open to all schools (and I think other organisations for children), for pupils up to 18 and it’s free to take part. There are various rules and conditions (all easily met) like you have to order a minimum of 50 copies and promise, hand on heart, to display posters etc – their FAQs are here if you fancy a look. Each book costs £5.99 and schools are free to charge what they like for copies so it’s a good way to raise some money, but we decided to use some of our Year 7 catch up literacy premium money to pay for one copy for each pupil and then gave parents and carers the option to purchase extra copies at cost price if they wanted them. As with all Scholastic orders, there’s the rewards scheme (so money towards more books) and free p&p to schools. Ooh, and school gets a free copy too. When you sign up you’re given a timeline to complete all the steps – from writing chapters and editing to proof reading and front cover design. Each piece of work is a chapter (need a min. 50 chapters, max. 880 pages). You can include stories, poems, scripts, whatever you fancy. Just text though, no pictures. 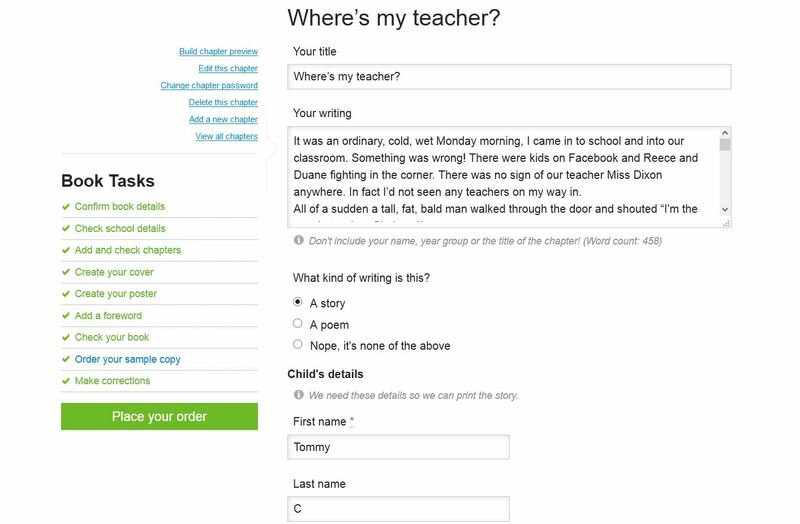 You set the book up on the website and pupils create a login to add their chapter. It’s all very simple and looks like a familiar word processing form – you can paste into the box if you’ve written it elsewhere and administrators can add and edit chapters anyway so don’t worry if you’ve got a sweary pupil. You can invite other staff members to help put it all together/ proof read etc. I don’t think anyone other than the admin can edit though. Completed chapters (and whole book) can be viewed and downloaded as a pdf so you can see what it all looks like. Even once you’ve submitted it, you get a printed copy to proof read and edit before placing your final order so it’s not too late to change it. In addition to pupil work there is a space for a forward. Our headteacher wrote ours but it can be anyone. Every year there is an additional forward from a children’s author, this year’s is Eoin Colfer (which is lovely because I heart him a bit). The only regret I have with our forward is that we didn’t include the name of the boy who designed the front cover and we should’ve done because that’s the place you can do it. 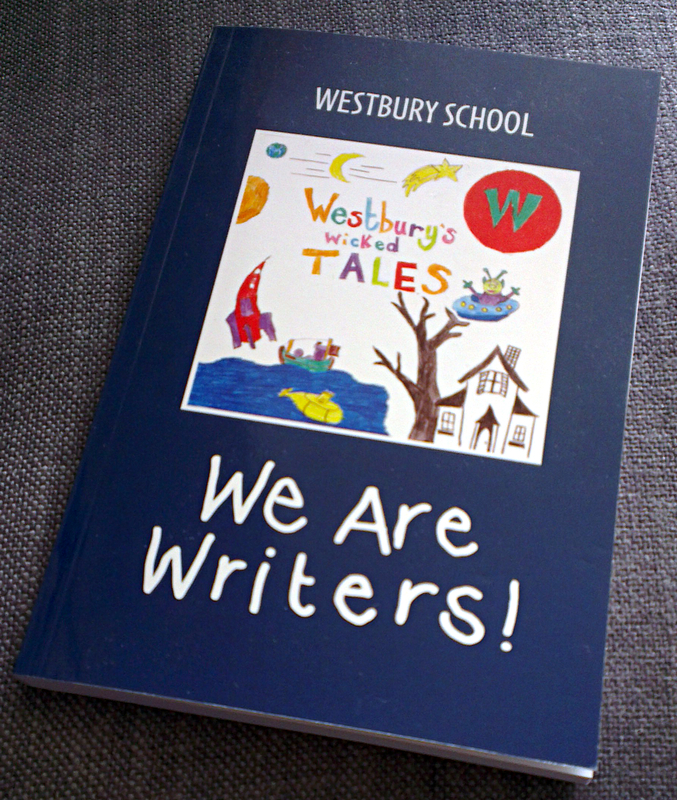 The front cover includes your school’s name, the ‘We Are Writers’ title, and a square box for your own design. This is anything you want to upload. You could just use your school logo or, like we did, have a competition to design the image. Obviously the usual copyright issues are there. 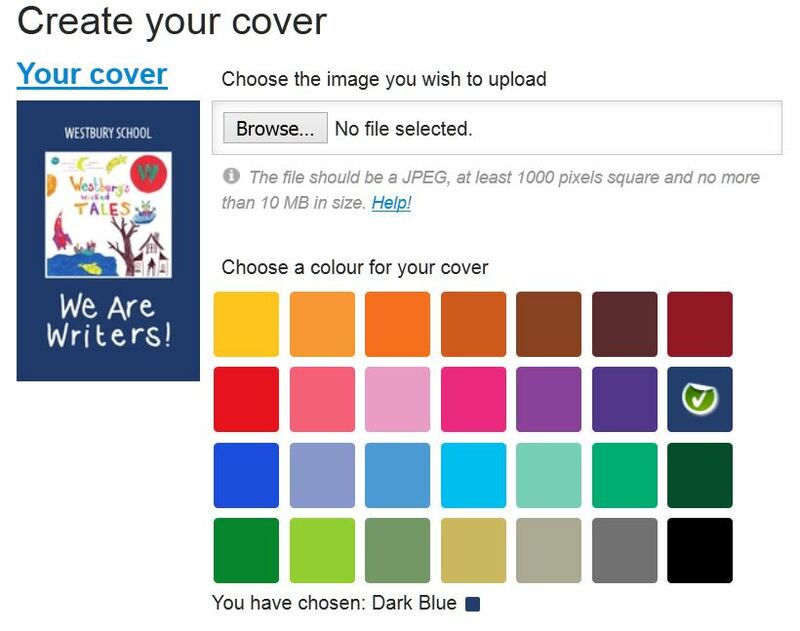 The background colour of the book can be chosen from loads of options. We went with the navy blue because we liked it but there are colours to match every school headed notepaper you can think of. Finally, you will get a stock of customised posters to put up at school with your chosen price and a few sentences to let people know what you need them to know. Plus a stack of order forms to send home. It’s all very organised. This is our book. It’s beautiful. We had a lot of different stories and a couple of poems. Lots of magic 50ps, zombies, and a few dreamcatchers (rather suspect these are linked with classwork). Interesting to see how different Key Stages write – KS2 particularly descriptive and a thousand alternatives to ‘said’; KS3 with lots of short, snappy sentences to build their tension. We had a special assembly to hand them out and for the most part I think they were really quite chuffed to see their work in print. Wouldn’t be surprised if we did it again. I can’t share the whole book but here are a few of my favourites which will give you a taste of our creative genius and an idea of the book’s layout. The Key Stage 4 one is clearly based on the WW1 poetry he’d been studying in English (pleased some of that stuck in his brain so fingers crossed for results day). The Key Stage 3 one was a tricky choice – so many to choose from and I think this was one of the ones read out in assembly. The Key Stage 2 one is written collaboratively by the group that go out for extra reading. It proves that anyone can take part in this no matter how confident they are with writing, everyone can tell a story. I love it. KS2 – The Three Little Pigs – Our Version!! I mentioned in a recent post that as part of our drive to increase the boys’ reading, we were planning a few events. This turned into a (fairly loose) Book Festival which is lasting for about a month, starting with an author visit for KS2 and ending on World Book Day (which will also only be KS2). The bits I’ve organised so far have been whole-school things including a Blind Date With A Book and a ‘We Are Writers’ book. I wrote about our first Blind Date With A Book here so I thought I’d take the opportunity to briefly explain and write about how it was different this time round. The idea behind going on a blind date with a book is that you pick a book without knowing what it is and you give it a go. Events tend to happen in schools, book shops or libraries around Valentine’s Day, for obvious reasons, but it’s also useful as the closest Friday is normally the last week of half term so it’s a nice way to finish things off before the holidays. Some people add descriptions of the books, some have a display of wrapped books to borrow, we use it as a way to give each pupil in school a book to keep. Last time I did all this I categorised each pupil into rough reading-ages, made them fill out a fake dating profile and then the ‘results’ of that told them which colour wrapping they were best suited to. It’s been two years since I did that and the school has grown quite a bit which made grouping each pupil a tricky one. So, for 2016 I went through the whole process of buying 100s of books to suit all size of pupil and then instead of categorising them myself, I got each class teacher to pick a book for their pupils before I wrapped them and added a Valentine’s card. 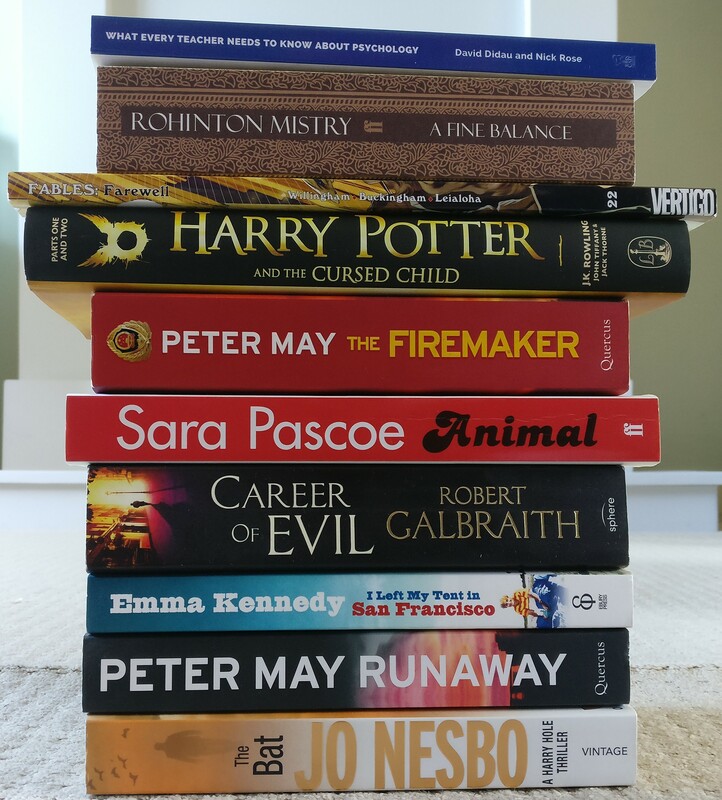 I bought a lot of books from Scholastic again – free postage to schools, earning money off books and some great January sale offers meant that I could get a lot for my money. They also have a great range of books for lower level readers based on poplar tv shows and films. This meant that I could give a Year 11 a copy of ‘127 Hours’ rather than yet another Brinsford Books classic that he’s probably already read. I did use Amazon for a few extras that I thought they might not usually pick like some Tolkien and Gaiman, plus a few books that featured in the TES lists of books pupils should read before leaving Primary and Secondary school, and I threw in a few from the box of free Book Trust ones I have. I had to be fairly realistic though, it doesn’t matter how well I wrapped it or whether they got to keep it, there are a lot of books that they wouldn’t even give a chance to, so the options weren’t a million miles away from things I thought they’d normally pick (shocking number of books with farting or bums in the title). The art room had some awful pink paper buried in a corner so I stole that (with permission), and I decided that instead of simply writing each pupil’s name on the front of the packages, I would give them all a Valentine’s card from their book. They had poems. As we’ve only got a maximum of 8 in a class, I wrote 8 poems and put them in 8 different cards using my all my best TA skillz. Wrote ’em, glued ’em, stacked ’em. I was pleased with myself. Class teachers were given their pile of books and able to choose when they gave them out and how they followed it up in class etc. I only saw a few children throughout the day but the ones I did see seemed fairly chuffed with their books and I get the feeling it was a success! We also used that day to display the entries for our We Are Writers front cover design and have a vote, and it was the last day for pupils to submit their stories for the book too. I’ll write more about that further along in the process. In part 1 I talked about motivating pupils to read, particularly in Catch Up sessions. Obviously there’s a bit of a difference between persuading a Year 8 (who’d rather have a fight down the corridor) to come for a reading session, and getting a whole bunch of them to pick up a Penguin Classic* over playing Potty Racers on their laptop at break time. The art of encouragement is a thin line between showing them something that will develop into a lifelong passion and creating a force so stubborn they will refuse to even judge a book by its cover. *or Horrid Henry to be honest. We’ve got a few things on the go at the moment to encourage a culture of reading and quite a lot involves simply giving them books. Our approach is reasonably subtle and we don’t force them. I would suspect this a natural reaction to having so many pupils with low levels of literacy and poor relationships with reading. That’s not to say they get away with not reading of course, just that we’re more likely to whack some bonus points towards kids that do some awesome reading than take breaks off one who doesn’t. Anyway, some of our encouraging things. Probably best to list and explain. World Book Day – Key Stage Two are pretty good at doing this each year. I’m mostly aware of it when I see Iron Man or an Oompa Loompa traipsing down the corridor. I know they’ve got a visiting author coming this year. 10 minutes reading – This is during tutor time after lunch and it’s supposed to be the whole school. It settles the kids down from whatever has kicked off during football and hopefully encourages a culture of reading across school. We’ve probably slipped a bit. I don’t know if everyone who doesn’t have pupils with them at that point reads anymore, but I love my 10 minutes sitting by myself with a book (‘Us’ by David Nicholls at the moment). No library – This isn’t particularly a good thing. We’ve got scraps of space and the room that was the library has now been turned into the catch-up room. What has happened though is that the books have been moved into classrooms so hopefully there are more that are instantly accessible to the boys. We’ll get our library back with the new build hopefully, but I also hope we keep a lot of books in classrooms. Trip to Waterstones – With some ring-fenced money we had an open-to-all-staff trip to Waterstones one Saturday. General books were chosen and class teachers had got their pupils to make lists of what they would like in the classroom. They could pick anything. 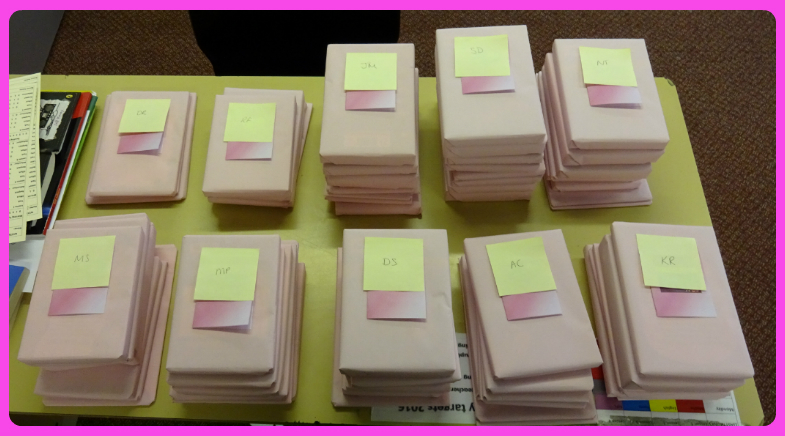 Blind Date With A Book – I did this a couple of years ago and I’m doing it again in a couple of weeks. Read my BDWAB post for a full rationale, but it’s basically an excuse to give each child a book to keep. I’ve put a few in that I think will challenge them and that they probably wouldn’t try given a free choice, but I’m not stupid so I’ve gone for ones that won’t alienate them completely. 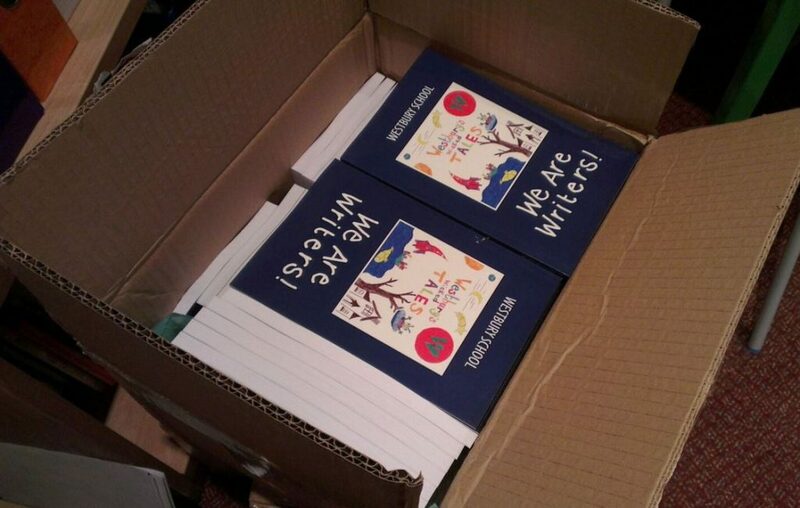 We Are Writers – We’re writing a book. Scholastic run a scheme where you can get your pupils work published – a chapter each to write whatever they want. We’re using the pupils’ creative writing and I set it all up the other day so hopefully we’ll get started soon. In addition to the BDWAB books, we’ll give each pupil one of these from school, and let parents buy more if they want them. Read to them – Underestimated I think. For most of us this is our first experience of reading. Pupils love it no matter how old they are. You can get them to follow in their own book or let them just listen. They hear how you intonate and express yourself; they hear words they’ve never read. A couple of weeks ago we had a heating and electricity failure at school. As I cursed the powering off of my computer halfway through an email, I heard the teachers in rooms either side of me both start reading to their groups and it was lovely (not as serene as you might imagine. The power had gone which is almost as thrilling as snow to a 13 year old boy). 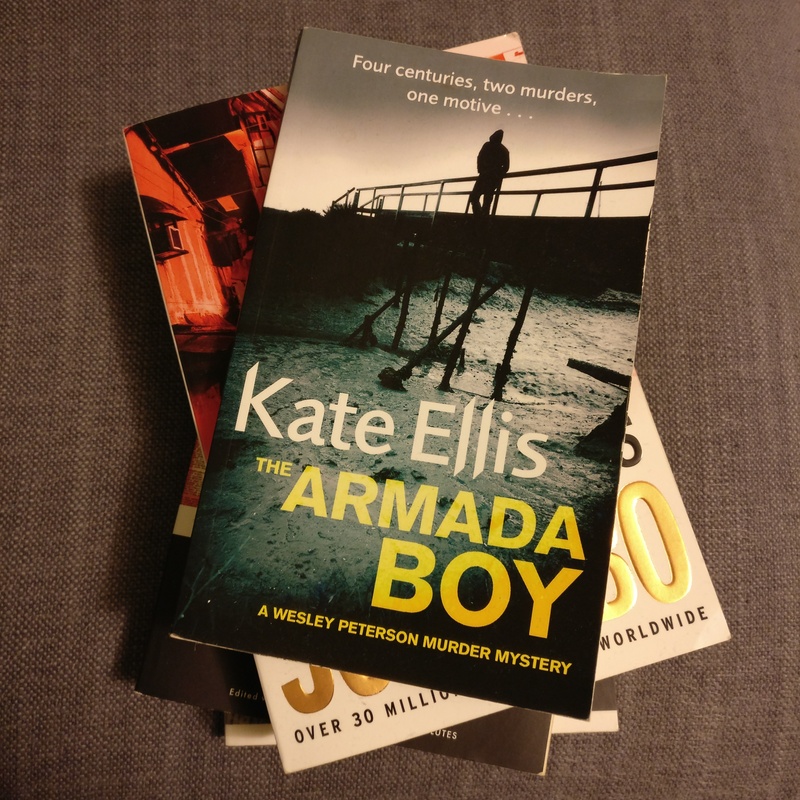 Prizes – Comes under the ‘give them free books’ banner. Money and chocolate are lovely prizes but books are great for prizes too and less likely to be frowned upon. Book crossing – Haven’t tried this with them yet. It’s that thing like geocaching but with books. My thoughts are along the lines that they’ll have to pick a book they love and then leave a copy for people to find. We could do it in-school and have a map with pins or go wild and do it properly. I bang on about this book every now and again. It’s essentially an essay about reading, and there’s a lot of it that makes sense – especially if we’re into getting pupils to enjoy reading for the sake of reading. It’s not a book about strategies or methods, it’s just something that made me stop and think about what ‘gets in the way’ and how we might learn to love reading again. I would love for more people to read it (there’s a poster illustrated by Quentin Blake you can download too. I have it above my desk). He starts by showing a child’s journey through reading. From bedtime stories and learning to understand words, or being told to put a book down and go out to play; to analysis of texts and the use of ‘If you don’t do your reading, there’ll be no television’. At some point, it’s possible for reading to cease being a wonder and become the enemy. The right to read anythihng. The right to read ou loud. There are a few who are like this, but they’re more likely to be up until the early hours playing XBox online with some kid in America than up until the early hours reading books with a torch under the duvet. I know that’s the case with a lot of children, not just my rock-hard behavioural gang, and it’s certainly not a new issue. I’m not sure what the statistics are for the amount of books children have at home, but I do know that quite a few of ours aren’t likely to have a duvet, let alone a bookshelf, so it’s one of our priorities to give their love of literature a boost. I work with various literacy interventions, but the most structured one I use is Catch Up Literacy (EEF project here). We’ve been running this successfully for about 8 years now and the impact on pupils who receive this intervention goes beyond learing how to read. The EEF report highlights improvements to pupil motivation and attitude to learning, as well as confidence and enjoyment – certainly something we’ve found as well. Quite often our pupils crave attention and recognition from adults, and dedicated time for 1-1 interventions gives them that. I generally have a whole lesson for a 20 minute intervention and the luxury of that extra time means I can focus on a particular target, work on other skills or look something up that they’ve been reading about. If they spot a book in the room that they’re interested in I’ll let them have a go no matter the level and give them a hand. They’re eager to read. They see it as something mature and aspirational. They want to read about Biff and Chip because it’s safe and familiar, but they’re aiming for books with a spine and no staples because they’re ‘proper’ books (doesn’t matter whether there’s one word on a page, that spine makes a massive difference). It’s hard when they’ve got bits of knowledge. They (like many others) have been in and out of school (sometimes several) picking up the occasional topic; great with graphs, not so hot on shapes; learning about ‘igh’ but no idea what to do with ‘th’. We’re gap filling and when they think it’s too ‘baby-ish’ their enthusiasm can wane. One of the things we use to combat this is rewards. We have a range of different reward systems throughout school and with Catch Up it’s stickers. Simple enough; each of them has a bookmark that they pop a sticker on after a session and when it’s full they get a prize and certificate. I like to think I’m fairly well versed on the ins and outs of rewards and motivation, and I know that the ultimate aim is for each and every one of them to be intrinsically motivated to participate. To be honest, most of the time they are, but that 16mm square sticker and the thought of a funky pencil at the end can be the most wonderful carrot when necessary. Intrinsic is great when they’re in a good mood, but we all need a bit of extrinsic now and again whether that’s a shiny sticker or a pay cheque. Hufton, N. R. and Elliot, J. G. (2004) ‘Motivation Theory and the Management of Motivation to Learn in School’ in Wearmouth, J., Richmond, R.C., Glynn, T. and Berryman, M. (eds) (2004) Understanding Pupil Behaviour in Schools: A diversity of approaches., London, David Fulton. So is reading its own reward? Most of the time I think it is. Sometimes things need a bit of a boost to get going and I’m happy with the system I’ve got. But what do we do on a wider scale, once we’ve taught them to read? How do we encourage them to read widely and for pleasure? Part 2 will look at some of the things that we’re trying in order to get them going. Last week I finished reading Martin Robinson’s Trivium 21C. I knew it would take me a bit of time to process my ideas but I keep thinking about it in relation to things so I decided to write about them now even if my processing hasn’t finished yet. I started reading it in the summer, mostly in the garden and a long way away from work (there’s a squished ant inside the front cover and everything). Back to work and things take over and it took me a while to pick it up again, but I did. First off. I loved it. There is a mixture of history and theory, working out of ideas and backing them up with evidence and viewpoints, and finally a plan of how all of this can work in schools today. His proposal explores applying the trivium (Grammar, Dialectic and Rhetoric) to contemporary education. Combining the building blocks of traditional knowledge with questioning and debate, before communicating and expressing what has been learnt. This isn’t just a book with a single idea or research at its heart – it’s a quest that Robinson has set out on to construct a better path for education, putting his ideas together through intense background study, seeking the views of others and debating different opinions before communicating his message via this book (see what he did there?). There were times when reading this book that I felt very uneducated and did that very British thing of just rolling along hoping I’d understand at some point. Mostly I did, sometimes I checked back. I’ve not read a lot about the history and development of education. There was a bit here and there on my MEd courses but that was research centred and I found it fascinating to see how all these ideas of how to educate were formed and transformed – something I should probably look at more. I’m not going to focus on that here, I’m going to pick out my favourite bits from the last section of the book about how we can put it into practice, because that’s the bit I’ve been thinking about most. This bit will make little logical sense as I pick out some favourite bits and ask myself questions. It’s only in this order because that’s how it is in the book. I love the idea that we’re all exposed to so much more information now and we should embrace this and allow it to shape us. Our pupils come from some pretty limiting backgrounds and we do our best to throw as much at them as possible whilst they’re with us. I think this is a really good foundation for any school ethos. I also found myself linking it with the recent ‘futurologist’ guff – not the learning styles stuff, but the many different careers stuff. Maybe it’ll be a Renaissancey thing where they can move from passion to passion because they have the opportunity? Totally agree with this one. Especially working with the ‘naughty boys’ where you tend to get the ones ending up at the PRU and an SEMH school like ours, and the ones put in a residential school (or the well off ones packed off to boarding school). I’ve read a few things on parental engagement and we discussed it at our first TSA journal club. At the moment if there’s anything I’d like to do some research around, it’s probably this. LOVE this idea of pupils bringing issues into the classroom that they can work around and campaign for. Get to know their local and wider environment, build confidence and challenge opinions. Brilliant. “When teachers have the choice, they must not choose knowledge by how accessible it is, but by how important it is; they should then use their professionalism to make it accessible.”. I’m ALL about this. The simple tables on pages 236/7 of Teaching styles and Learning methods categorised with each element of the trivium have been the thing that has really shifted my thinking around. All the other things are interesting ideas I want to ponder on and see if there’s a place to use them in school. The trivuim set out in these tables is something that has prompted me to change the way I think about what I’m trying to achieve with my work. The tables set out how to teach (and learn) within different elements of the trivium. From Grammar and getting a solid foundation, through Dialectic with more independence of ideas, to Rhetoric and the formation and spreading of thoughts and opinion; I think it fits the classroom well, but it’s also made me think about how we should approach research engagement in schools. It’s easy to forget how little engagement most teachers have with research when you’re in the researchED/Edu-twitter bubble, but it’s said often enough about CPD that if we take into account the needs of pupils when teaching, we should take into account the needs of staff when training, and research engagement should be no different. I’m wondering where school research sits and how I can use the idea of the trivium in my role as research lead. For me, most of the people I work with are at the beginning of their research journeys (I cringed too but I can’t think of another way of saying it). They need the grammar. Before rushing full pelt into research, I need to work out how we can build up a solid foundation of basic knowledge and terms, familiarity with things like EEF toolkit, get into the habit of asking for evidence. I need incremental steps, to provide resources, increase capacity incrementally and to scaffold. I need to encourage reading, accessing information and learning to deal with not understanding. Once people are in a position where they feel more confident they can move to the Dialectic – questioning, comparing sources, habits of discussion and critique. Finally we can move to the Rhetoric. Self-reflection, expressing opinions, positing questions and connecting with other institutions and expertise. Only at this point perhaps are we ready to use the full potential of things like journal clubs – too soon and it won’t have the impact. I’ve also considered Lesson Study. The impact of lesson study on teaching and learning is still questioned and some of that is about chucking a process at staff that they might not understand. One of the things that gets mentioned when the Japanese version of lesson study is compared with the emerging UK versions is that in Japan the research element takes the form of a massive piece of work. I wonder if the scale of this initial research means that teachers work through each element of the trivium as they are producing it. The scale allows for the time they need to work through the theory, argument and form an opinion, and by reducing that for our programmes, do we miss stages out? If teachers don’t have time to get grounded and really understand the research lessons they’re planning, is the impact going to be less? I know it’s important that there’s room for everyone to develop at different rates and with the structure of the trivium (even if it’s in the way I think about it rather than a formal programme of development), it’ll be easier to see where people are headed and I don’t think it’ll seem quite so much like it’s falling on deaf ears, rather a matter of building experience. One thing I have wondered is if we need to be able to teach the whole trivium or do we specialise in particular elements? Does a research lead need to be better at the groundwork or good at all of it? The amount of reading I actually do (rather than think I’ll probably do) during the year fluctuates quite a lot, but the summer holidays are definitely the time when I churn my way through a fair few books and this year was no different. A couple of them I’ve been waiting to read in paperback both because I don’t see the point in forking out for a hardback if I can wait and it makes sense to take lighter books on a plane. I’ve tried reading ebooks on both a proper, non-backlit eReader and on a tablet. I prefer to take books. I’m well into my thirties now so I reckon I can get away with picking and choosing the technology I want to engage with. Dave at work says I should blog about books I’m reading throughout the year too (probably because he leant me a very good Doctor Who related one) and I probably should. Until I get round to that, here’s this summer’s lot. 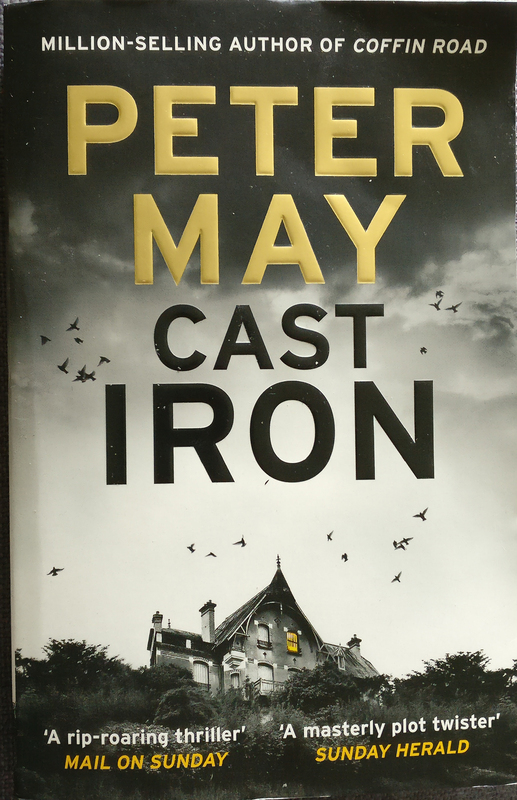 Peter May is a fairly steady presence in my reading lists now. This is the third in the Enzo Macleod series set in France and continues to follow Enzo as he uses his forensic expertise to do what the police have failed to do and try to solve another cold case.The premise of this series works around a bet he has made to solve seven prominent murders that feature in a book by his friend Roger Raffin and the series looks set to focus on one case per book. The book starts with the abduction of a young boy on holiday 40 years ago and jumps to a murder in 1992. In the present day, when Enzo finds himself framed for murder, and his daughter is nearly killed, he reasons that it has only been a matter of time before the perpetrators of the remaining cold cases start to try to take him out before they get caught. Investigating ensues. Assisted by the now familiar characters of his second daughter and her boyfriend, his assistant Nicole and Raffin, his first daughter has more of a role in this one and we start to get a bit more of the characters’ back story. There’s the obligatory scrapes with death, bottles of good French wine and beautiful women. I find May’s style easy to read and there’s a good balance of continuing threads and fresh storylines. I like the implied end to the series with the seven murders which stops a feeling of things dragging along that can happen with other detective series, and there’s enough of a question mark at the end to make me eager for the next one. Surely no family has had the amount of disaster befall them on their summer holidays as the Kennedy family have. 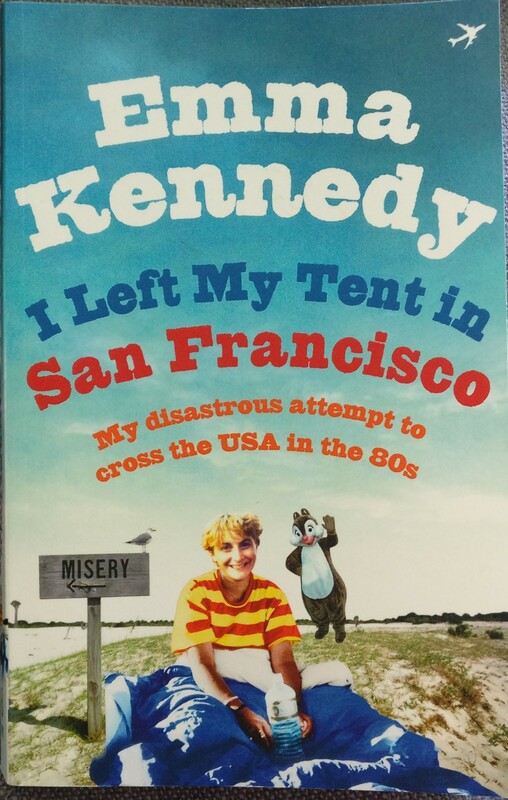 Emma Kennedy’s hilarious memoir following her family’s ‘disastrous attempts to go camping in the 70s’, hurtles you through storms, down French toilets and gangrenous wounds. The determination of one family to have a successful holiday is something to behold. Full of cultural references that paint a picture of 70s Britain (which isn’t too far from my memories of 80s Britain), this is a book that will have you in fits of laughter, cringing, wincing with pain and championing our heroes to get through to face another summer. I’m not sure whether it was a good idea to take it on holiday or not. One of the flight attendants on our plane spotted it and said how much she’d enjoyed it (which vindicated my stifled giggling for a 4 hour flight) but there’s something about reading about disastrous holidays whilst your on one that seems to be tempting fate! Luckily we didn’t fall down anything nasty and survived to recommend this. If you can’t be bothered to read it (which you should) the BBC have gone and done a whole TV series of the book. ‘The Kennedys’ should be on in the autumn I think. This is one of the Richard and Judy summer reads and I happened to see them plugging it on the One Show. Quite liking their description I thought I’d give it a go and I wasn’t disappointed. I’m not sure what to say about this one. I really enjoyed it and definitely recommend it but I don’t want to spoil it. I don’t want to say too much really. I had more information before I read it and spent the whole time waiting for that to happen. So who would like it. Well online and on-book comments suggest that if you enjoyed ‘Gone Girl’ you’ll enjoy this. I read ‘Gone Girl’ last year and it irritated the hell out of me for the first half, got better in the second and had a disappointing ending. This book is far better and much more worth reading. 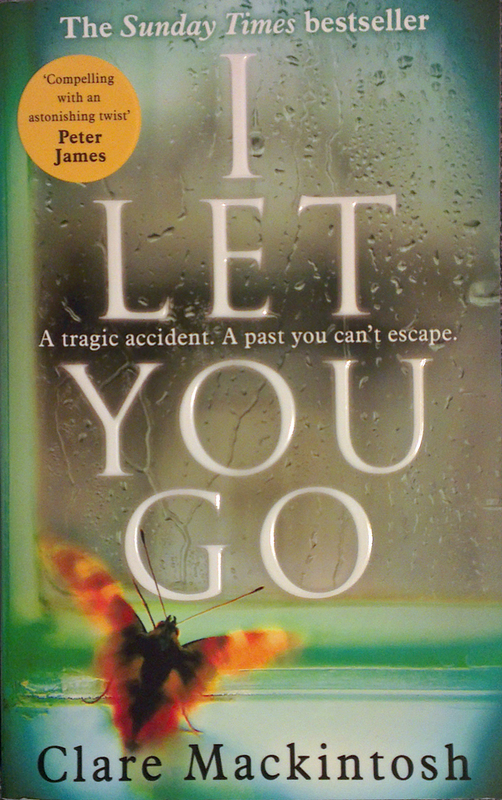 It’s a psychological thriller that kept me gripped and eager to get back to. I invested thoroughly in the characters through the well crafted narrative and raw detail throughout. There aren’t any gun-wielding space aliens or Russian naval spies so I don’t think it’s quite Howard’s thing, but that might help you decide. 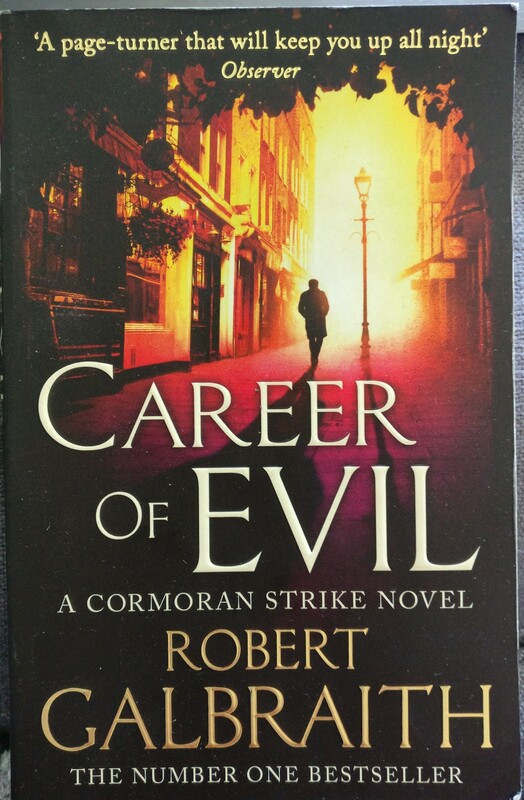 I have invested heavily in Cormoran Strike, Private Investigator, since reading the first novel. Every time I have a pint of Doom Bar I think of him. I got this book for either Christmas or birthday and I’ve been saving it for the summer (might as well take a book we’re both going to read on holiday). As predicted, the first outing ‘The Cookoo’s Calling’ was a solid introduction to the characters and all the key people were in place for this investigation. Strike’s still struggling with his leg (send him to a doctor please Mr Galbraith), Robin’s still his right-hand woman, and there’s still some murdering to solve. There are some classic detective story elements but it reads as a fresh set of characters and if you enjoy the genre then it shouldn’t seem like you’ve heard it all before. This one focuses on the world of publishing with a swathe of colorful characters from authors to agents. There is a good balance between the case and development of Strike and his work so I’m looking forward to the next one. I’m being cagey again I know. I’d rather tell everyone to just read it without giving anything away, it’s kinder. Just know that if you liked the first one you should like this one, and if you’ve not read the first one. Read it. Right where to start with this one. Well, this was the second of my ‘wait for paperback’ books after I heard the review on Radio 2 and thought it sounded really interesting. The book follows the character of Holly Sykes throughout different decades of her life with each decade told from the perspective of a different character; some of which interact with her more than others. It’s a long book and in many ways each chapter/decade is a book of its own. There’s a bit of a Neil Gaiman style fantasy element feel to the story although I spent a long time not quite sure how it was panning out and this frustrated me a bit. 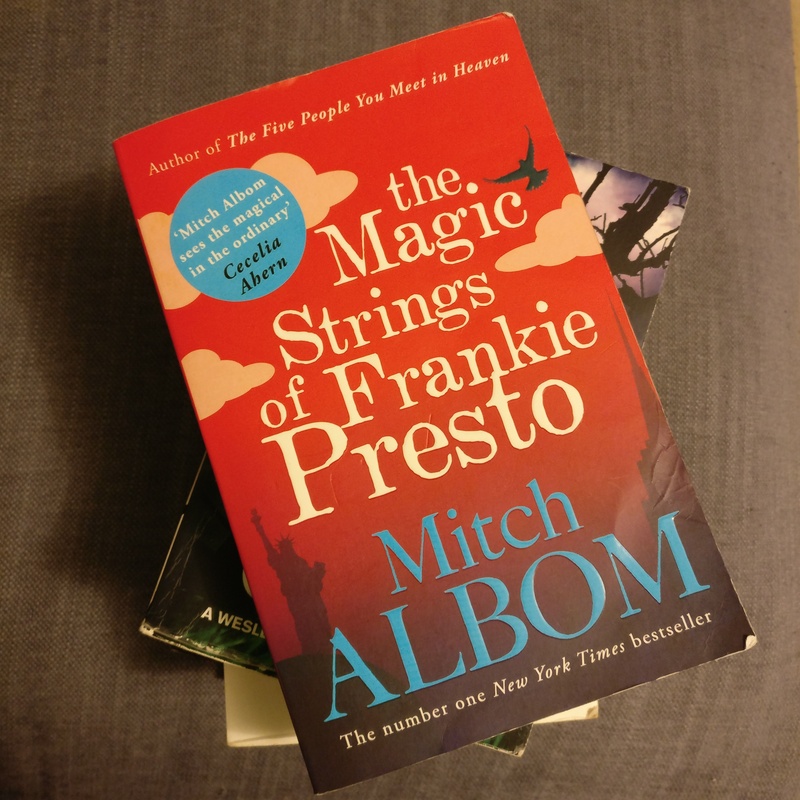 I found the book easier to read for some characters than others which reflected in my pace of reading; it was a lot of work to remember characters as they re-appeared and it took me a while to get through some parts. Having said that, once the story started to reveal itself I really enjoyed piecing it together. The book starts in the 1970s and works through to the 2040s. As the chapters entered the ‘future’ there was lots of subtle references that I appreciated (like a passing comment on Justin Beiber’s 5th divorce) and it didn’t seem like there were over the top attempts to predict what’s ahead. It allowed for the story to take centre stage as it reached a climax. Having had the climax, the final chapter was a proper slog. 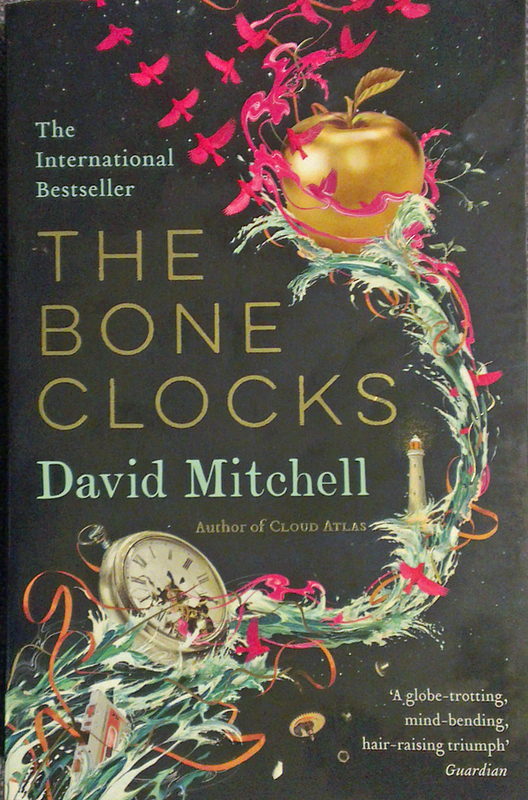 Set in a dystopian future there was an unecessary amount of explaining the changes to the world and the collapse of civilisation, I found it all very strained and fairly detached from the story-so-far. It sounds a bit like I hated it. I didn’t. The premise of where everything leads to is a brilliant idea and as it got going and more was revealed I really enjoyed finding out new perspectives from different characters. I think the ending has jaded my view a bit. You know how a generic hour-long TV murder has the classic solve at 45 minutes and it’s all wrapped up in the last 15? Well this felt a bit like we had the resolution at 45 and there was another hour to wrap it up. I think I’ll be thinking about this one for a while to digest it properly. I’ll recommend it because a lot of people have enjoyed it and I didn’t hate it by any means. It’s a long one though and I prefer Gaiman. Links to books are The Guardian Bookshop again because of tax and monopolies etc.